It’s that time of year again. You know, the time of year when everyone has big goals and even bigger expectations. That’s right, it is New Year’s resolution time. Now you may be inclined to set a typical resolution like losing weight or learning a new language, but what about resolutions that can make you a better social media marketer? This got us thinking about what kind of New Year’s resolutions a marketer should have in order to boost their productivity and to help them reach their goals in 2016. Below is a list of eight social media marketing resolutions that we believe you should commit to in 2016. Trust us, the 2017 version of yourself will thank you, as will your business’s bottom line. Are you still posting all of your content manually to your social media accounts? As a business, this is not a scaleable activity. Your followers live in different time zones, you are juggling several other responsibilities and your social presence is growing by the day (which is a great thing!). Without the help of a social media tool, you will find yourself burned out long before 2016 comes to an end. Make it a resolution to invest in and learn how to use a dedicated social media management tool. If you already have a social media management tool, ask yourself this question: “Am I leveraging everything this tool has to offer?” You would be surprised at how many businesses invest in tools that they never fully understand how to use. This results in millions, if not billions, of dollars being wasted. Let’s not waste any of your money in 2016. Sound good? Remember the days when creating custom images required a technical background and experience using a tool like Photoshop? This barrier of entry left most marketers discouraged and unable to carry out their vision. The wonderful people over at Canva realized this several years ago and got to work creating a solution. The result is an easy-to-use tool that anyone can use. Yes, even you. If you didn’t use Canva in 2015, now is the time to start. Custom images will help you build brand awareness, increase engagement and improve your blog posts. As you can probably see, the popularity of video is growing extremely fast. In 2016, video consumption will make up the majority of time spent online. What does this mean for your business? It means you will need to create videos or risk not being seen. If you are already investing in original video content, we encourage you to increase your efforts, and if you haven’t begun leveraging videos to market your business, start now. This time last year live-streaming was in its infant stage. Periscope had just been acquired by Twitter and Meerkat was beginning to roll out. Early adopters had mixed opinions, but after a year it is clear live-streaming is here to stay. In fact, the social media juggernaut that is Facebook even jumped in on the party with Facebook Live. It is clear that live-streaming will have a major impact on marketers in the upcoming years. If you haven’t experimented with live streaming yet, we challenge you to give it a try in 2016. The brands that can find unique ways to use live-streaming will see major success. This resolution is so simple that you have to give it a try. How many emails do you send per week? If you are like most marketers or entrepreneurs, the answer is a ton. In 2016 can you commit to sending just one more email per week? If so, send it to an influencer in your industry. Keep it short and sweet. Maybe you introduce them to your product or service, maybe you interview them for an upcoming piece of content. Whatever it is, sending one email per week to an influencer can make all the difference for your business in 2016. Think about it, 52 influencers that had no idea you existed, will by this time next year. That is a pretty exciting thought! Quick! Answer this question as fast as you can: what is your budget for social media marketing in 2016? Was that an easy or hard answer to come up with? For many marketers it is impossible to answer. That is because they do not have a true marketing budget. In 2016 we challenge you to have a documented social media marketing budget. Documenting it is crucial (on paper, not in your head). Even if you are a one-person show, it is important to write down your budget, so you can stick to it as the year goes on. Do you always feel like you are worrying about producing your next piece of content? If so, you aren’t alone. A majority of digital marketers feel overwhelmed by the amounts of content they have to produce. What if we told you that you could produce plenty of new content in 2016 without writing a single word? You can accomplish this by repurposing your old content. Turn an existing blog post into a video or an existing video into a Slideshare presentation. The possibilities are endless. By repurposing content, you can provide value to a new audience, while leveraging the hard work and research you already put into the old posts. Everyone knows a person who always has lofty goals, but never achieves them. Being lazy could certainly be a factor, but often times having unrealistic goals is the culprit. When you set goals that are nearly impossible to reach, it is very easy to get discouraged. When it comes to marketing on social media, far too many businesses get discouraged due to unrealistic goals. In 2016 we challenge you to set goals that are obtainable and measurable. The second part is very important. Setting a goal like driving more traffic to your website is hard to measure. However, having a goal of to drive 1,000 people to your website per month through your social media effort is measurable (and obtainable). It is understandable that you want to shoot for the stars in 2016, but make sure you do not set yourself up for failure on day one. 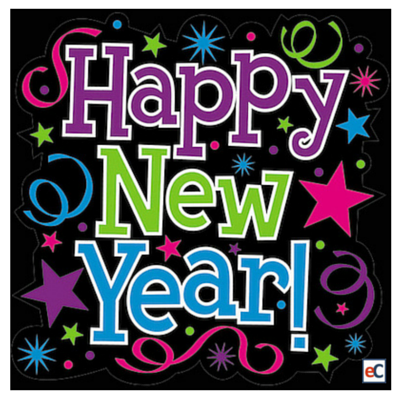 2015 was a great year for us here at eClincher, and we hope it was a year to remember for your business as well. By committing to these eight social media marketing resolutions, you can help to set yourself up for another memorable year of success in 2016. Now it is your turn! What other social media marketing resolutions do you plan to make? Let us know in the comment section.